Open access. Credit: Wikimedia Commons/ PLoS (distributed via Wikimedia Commons). 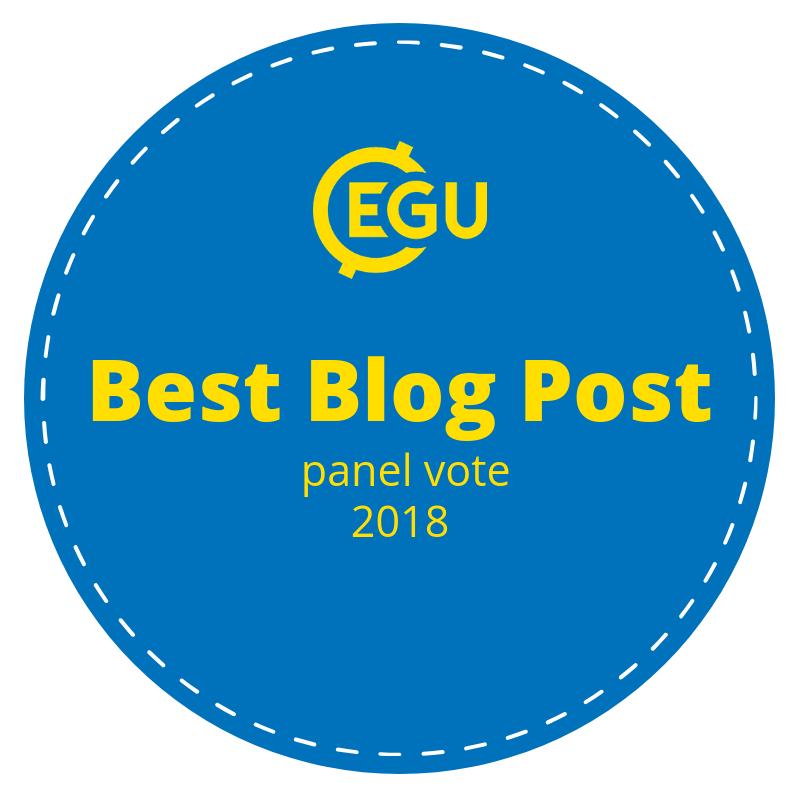 Those who follow the work of GfGD, either via posts on this blog or more direct engagement, will know that there are a multitude of connections between geoscience and the Sustainable Development Goals. The SDGs are almost impossible to disentangle from resource use and environmental pressures, subjects which are themselves cornerstones of modern geoscience. It’s true that many earth scientists aren’t specifically working on addressing the SDGs; the actual action is often left to policy makers and NGOs. So what’s the best way to help, if your work might have some input? One answer comes to mind quickly – get your work out to these stakeholders through science communication. However, this isn’t to everyone’s taste, and not every scientist is comfortable in the social-media communication sphere. It’s often tricky to reach all the potential stakeholders all at once, so is there an alternative solution that doesn’t require devoting too much time to public-facing communication? Yes – you can publish open access. Open access journals – where there aren’t subscription fees to view an article, and costs are covered by external agencies or through article processing charges – have disrupted science publishing significantly over the last 15 years. The question over open access research journals is a complex and fraught one; many scientists feel strongly one way or the other, and large scale legal battles are playing out between governments and traditional publishing houses in relation to demands for open access science. I’m not taking a position as to whether open access is a good model for science or researchers, but instead I’d suggest that it can help attain SDGs – particularly if it’s geoscience research that’s published for all to see. As an early career researcher, I tended to think that open access might not make such a difference to my own work; the public wouldn’t be interested in my extremely niche topic of research. I didn’t consider that there might be different groups of readers for whom geoscience research might make more impact than for my friends and family. Government researchers and NGO analysts working in the developing world vitally need access to data and science, but their budgets may not stretch to pay for access to subscription journals. These are the important stakeholders for the attainment of SDGs, and these are the end-users of open access research we should consider more. Let’s use mining as an example. Given the same absolute amount of mineral or fossil resources, historical evidence suggests that a country in the global south would likely only find 1/5 of the amount that a rich country would. Exploration and utilisation of a nation’s mineral wealth requires a clear understanding of resource science, which may be lacking in developing states due to lack of access to published research. This is such a significant issue that the World Bank in 2014 set out to spend $1 billion to produce geological maps of Africa’s natural resources, for governments there to better use their resources. For the global south, a lack of data surrounding their own resources – particularly fossil fuels – puts them at a huge disadvantage when negotiating contracts with multinational petrochemical or mining corporations. Global firms like Exxon or Shell have huge, dedicated R&D arms, with larger research budgets than many developing countries can muster. The effect is that the two parties have ‘asymmetric information’; according to economics, this situation almost always leads to less-than-optimal outcomes, and it’s normally the party with less information that loses out. In real terms, this could mean mining firms negotiating contracts that might underplay the risk and pollution from extraction for local communities. Using resources sustainably and carefully is at the heart of efforts to attain the sustainability goals. Water quality suffers when pollution is extensive; poverty and inequality are exacerbated by inefficient and corrupt management of income from mining or drilling; the effective use of taxes from mining and fossil fuel extraction can help build sustainable infrastructure for a greener future. Open access geological data allows governments in the global south to make more informed decisions about their own national resources, and fosters a framework of openness that encourages greater accountability. It prevents vulture companies exploiting those nations, too, which is a key aspect in the fight for global equality. The global south are likely to face more severe threats to life and economic growth as a result of climate change than developed states (e.g. this report by DARA), and this potential risk is exacerbated when governments lack sufficient data to make informed policy decisions. Climate change has the potential to adversely impact almost all of the sustainability goals, from resolving inequality, to food security, to life on land and in the ocean. The global scale of climate change makes it in everyone’s interest to encourage smart policy making in every country – and thus a great incentive for scientists and policy-makers to support open-access research. Perhaps there are other more important incentives for earth scientists to publish in other journals; but in future, perhaps we should consider the ramification of our publishing choices for sustainability. Maybe the ‘social impact’ factor of research is more relevant than the publication impact factor. Robert Emberson is a science writer, currently based in Vancouver, Canada. He can be contacted via Twitter (@RobertEmberson) or via his website (www.robertemberson.com).